You are here: Home / Communities / Millsboro DE Homes for Sale / Pelican Point Millsboro New Beach Home By Schell Bros.
Who Lives in Pelican Point Millsboro? 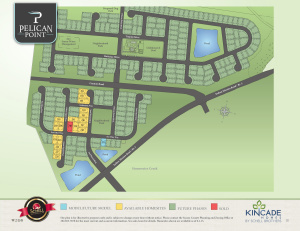 Pelican Point Millsboro is a new Community built by the Schell brothers. It’s located on Route 5 in Millsboro, near Rehoboth beach. By featuring among the few communities in Delaware that offer full suites of amenities, Pelican Point has gained overwhelming reputation among aspiring home owners . Pelican Point will feature thoughtfully planned open spaces, walkable streets, park benches, trees, and beautifully crafted entrance monuments.Strong and effective community groups are essential forums where people can discuss matters affecting community to come up with solutions for happy living and development in the community. Pelican Point You’ll find it interesting to join and participate in one. The spacious clubhouse will include a fitness room, large recreation room, fireplace, bar, and catering kitchen. You’ll enjoy relaxing at the outdoor pool and hanging out with friends at the tiki bar and lounge with a fireplace.The community’s amenities will be a step above the rest and include a clubhouse, pool, tennis / pickleball courts and a dog park. Catalina 4-5 bedrooms, 3.5-4.5 baths from 4508 sq. ft.
Beach Plum 4-5 bedrooms, 4.5-6 baths from 4508 sq. ft.
Avalon 5- bedrooms, 5-7 baths from 4899 sq. ft.
Kiawah 4-5 bedrooms, 4.5-5.5 baths from 5113 sq. ft.